If you haven't yet, check out Mass Effect 3 latest trailer featuring it's new multiplayer mode! I can clearly remember when it was first announced that Mass Effect 3 would have a multiplayer mode. It was almost as if the world were about to end. Many people's first reactions were pretty mixed, mostly worried about how a co-op campaign would work and marry well with a single-player game. However, after learning that it's completely optional, everyone was able to breathe again. You may not be Commander Shepard, but knowing that you and three other buddies can create your own characters and be able to choose your race and class is something to look forward to. With details and this latest trailer showing off this new addition to the series, I can't help but be excited for this! About the Author Daisy is the artist and 3DS expert of latinogamer.com. 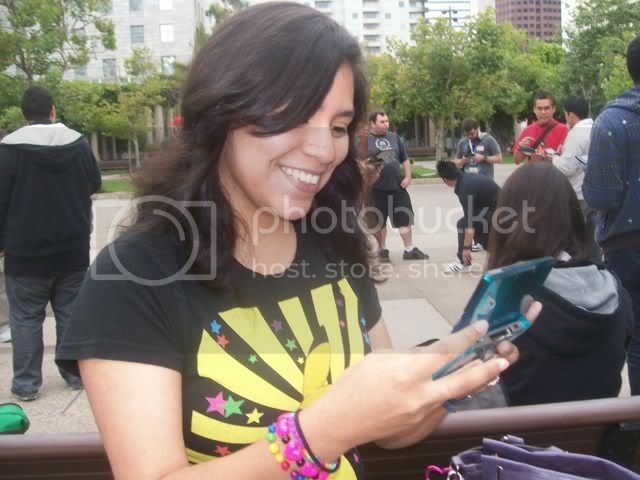 A former GameStop employee and student at Glendale Community College, she currently resides in Los Angeles. She is a student flute player and loves the work of the great video games composers such as Nobuo Uematsu and Koji Kondo. Daisy es el artista y experto sobre el 3DS de latinogamer.com. Anteriormente trabajaba en GameStop y estudiaba en el colegio de comunidad en Glendale. Estudia ser flautista y ama la musica de los gran compositores de videojuegos como Nobuo Uematsu y Koji Kondo.